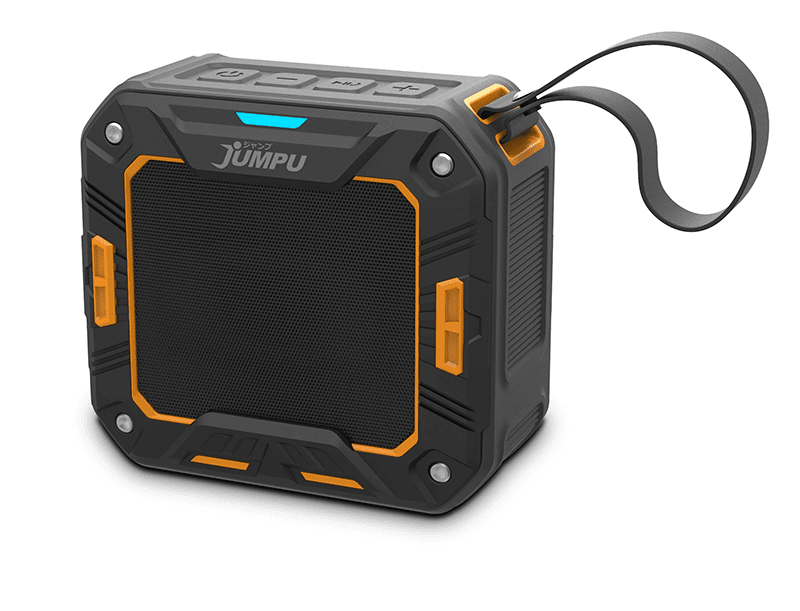 JUMPU launches TSUYOI-S rugged and water resistant speaker! Home / audio / features / jumpu / JUMPU launches TSUYOI-S rugged and water resistant speaker! Looking for a rugged and water-resistant wireless speaker? Then JUMPU has the TSUYOI-S just for you. It is one of the most affordable outdoor speakers today. The TSUYOI-S is an easy-to-carry portable wireless speaker that is rugged and is meant to have great water resistance. It has an IP65 rating that will make it ready to provide you with hours of audio entertainment be it indoors or outdoors, rain or shine. It has a 1,500mAh rechargeable battery that is said to give you more than 8 hours of usage. You can either pair it with your smartphone or computer via Bluetooth or via the good ol' 3.5-mm audio jack. It also has a built-in microphone in the event that you need to answer a call. The TSUYOI-S rugged wireless speaker will be available in various Starmobile kiosks and concept stores for just PHP 1,290. For more information, you can visit the JUMPU website and their official JUMPU Facebook page.